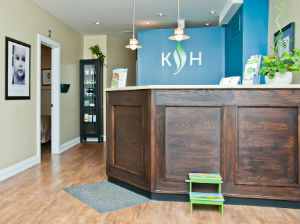 You and your family are warmly welcomed into our friendly practice. Upon your arrival, our helpful chiropractic assistant Becki will greet you and give you a tour of the office. We’ll take your paperwork from you, and then you’ll be taken to our main examination room. There, the doctor will meet with you to review your intake forms and complete a health history with you. We’ll then spend time explaining how chiropractic and our office work. Once we’ve completed the initial consultation, our comprehensive examination will begin. A computerized COREscore exam to measure nervous system stress consisting of three scans: thermography, a surface electromyography and heart rate variability. From the examination, we’ll be able to determine the structural issues that may be contributing to your health concerns. Our computerized examination will show us the effects of stress in your body, since 85% of all chronic degenerative disease results from stress. This scan is the foundation of our assessment and is regularly used to assess objectively how you are responding to care. The physical examination will show us which areas in your body are out of balance and which spinal segments are restricted. As chiropractors, we are trained to assess and detect interference in your spine and provide appropriate corrective techniques to reduce these restrictions. This examination will also allow us to rule out any underlying problems that may require a referral or further investigation. The goal of the initial assessment is to evaluate your spine and nervous system to see how they’re functioning. We’ll also determine the stressors and challenges you are presently facing that are contributing to your injury or health issues. Our thorough examination process will lead us to understand your needs. 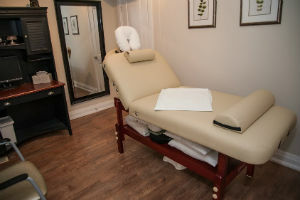 Contact us today to schedule your appointment.